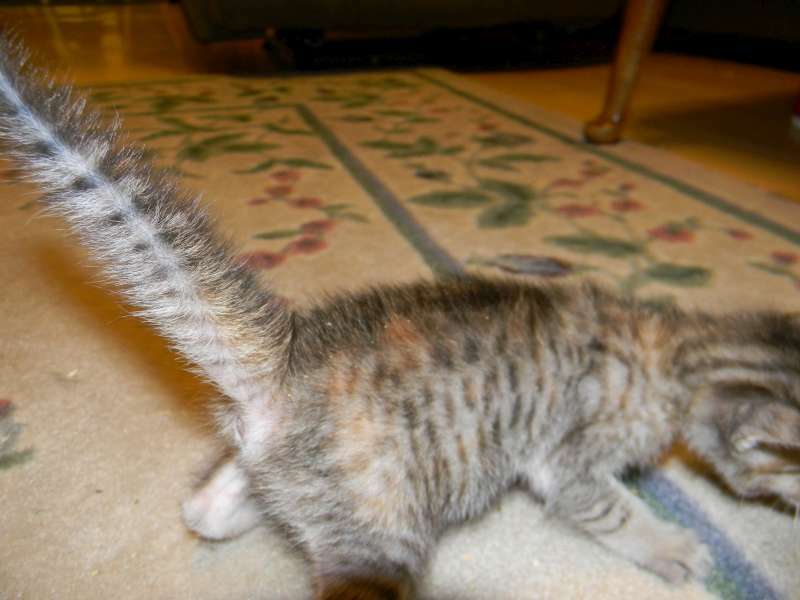 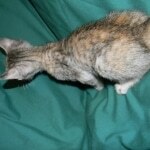 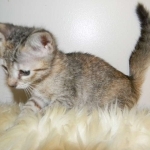 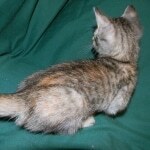 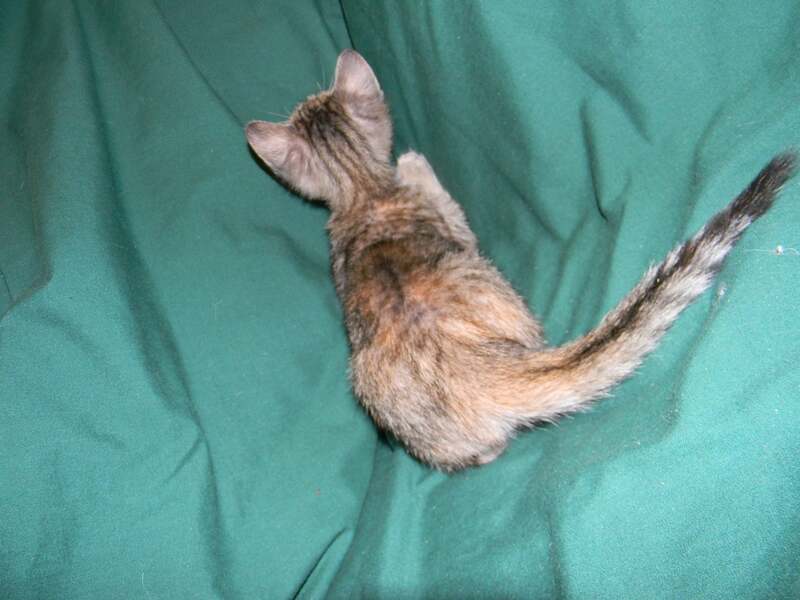 This kitten would be a Calico is she were not a Savannah. 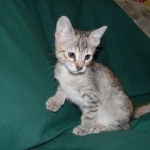 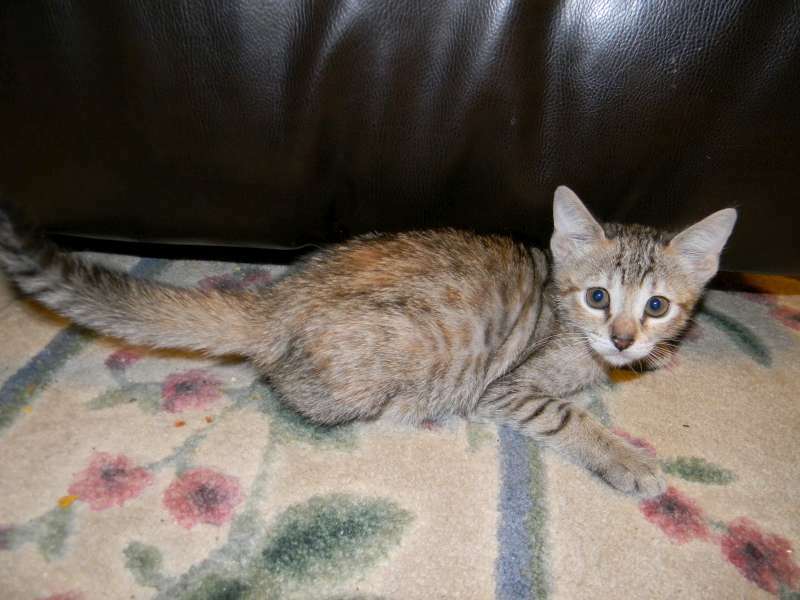 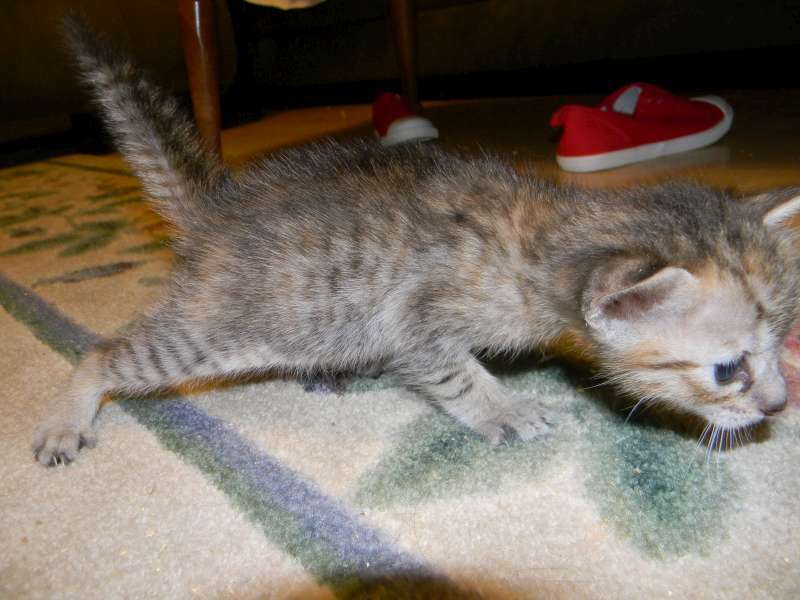 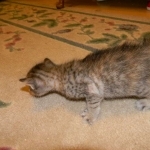 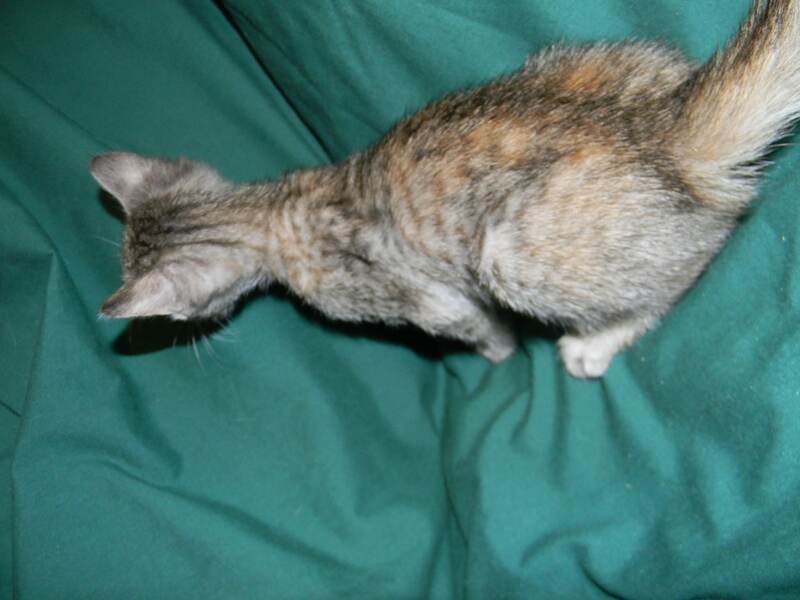 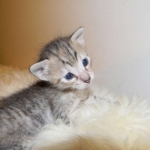 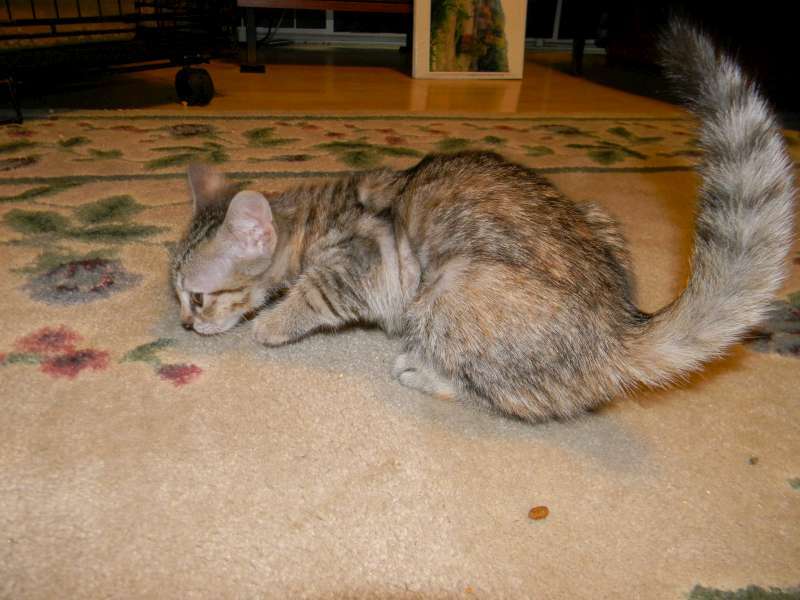 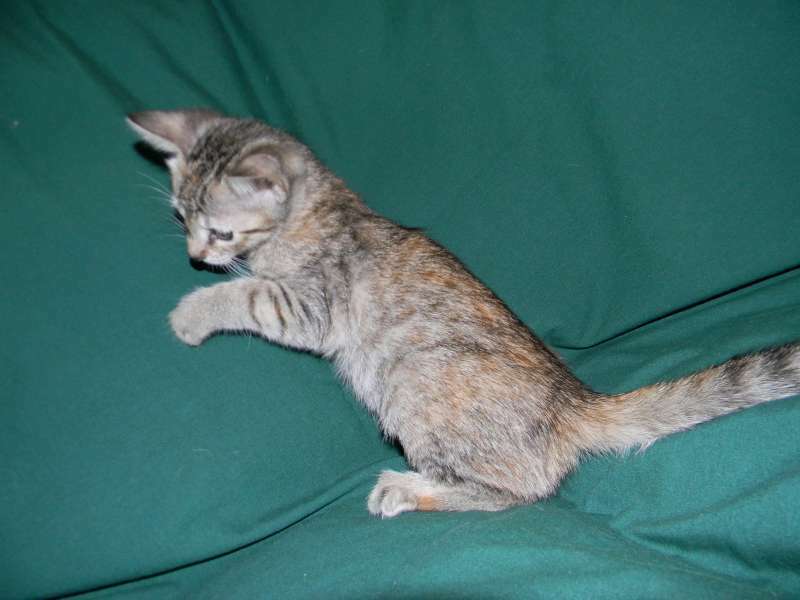 Having 2 distinct colors both Grey and Gold she will be a very unusual and striking spotted cat. 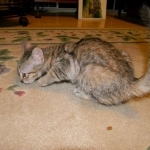 She has gone home as a beloved pet with Caroline in NC. 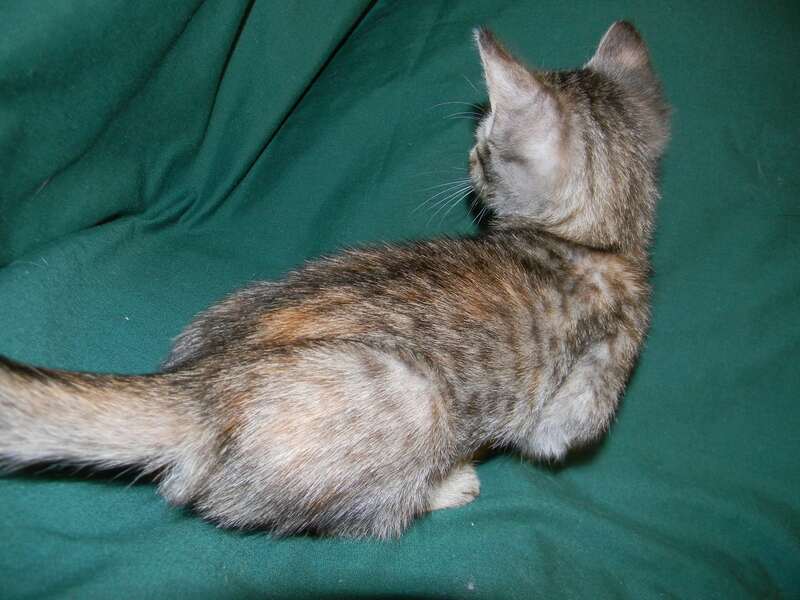 This beautiful SV girl has two distinct colors and spots. 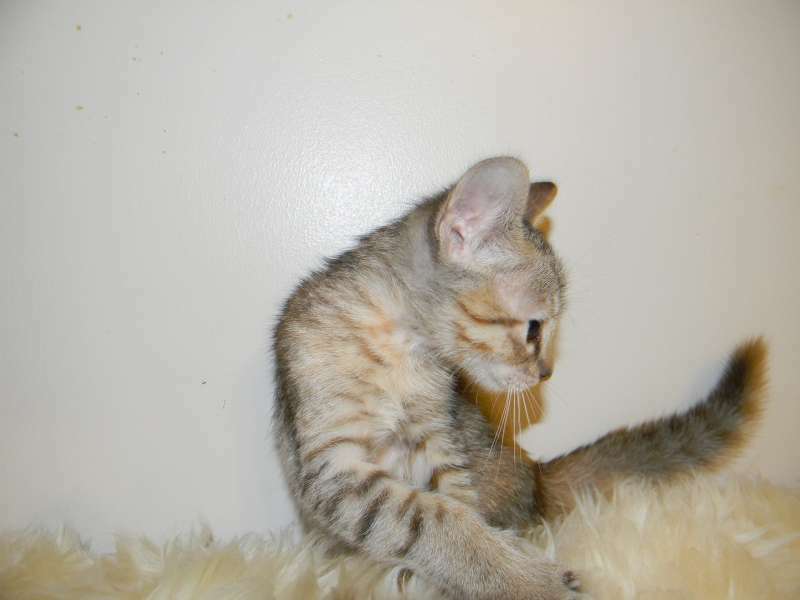 Her savannah spots on 2 different colors make this girl very unique. 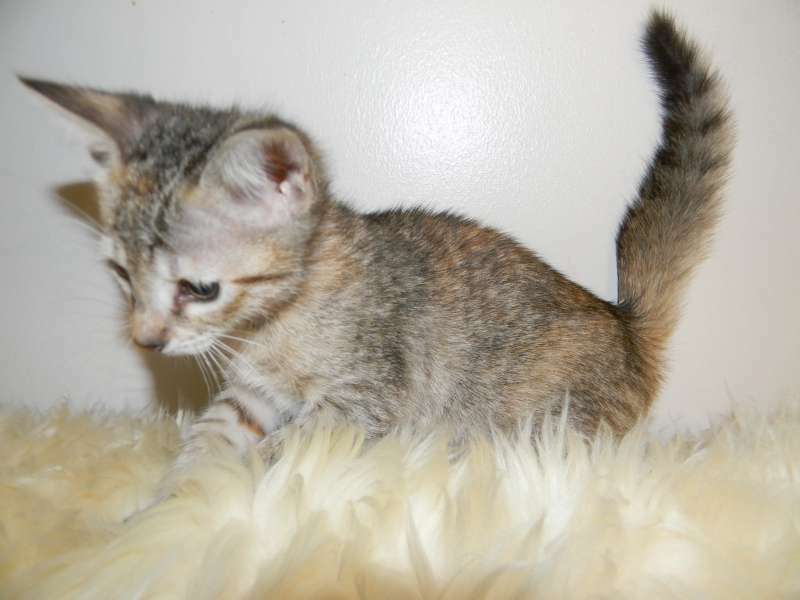 Think Calico with spots for this savannah girl. 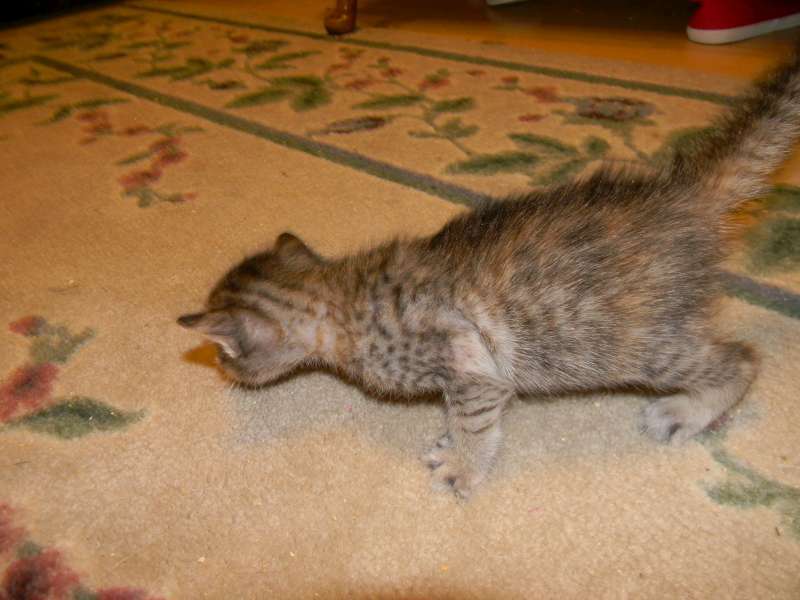 Black on grey and Red on gold spots makes the bi-color kitten a one of a kind non-standard savannah. 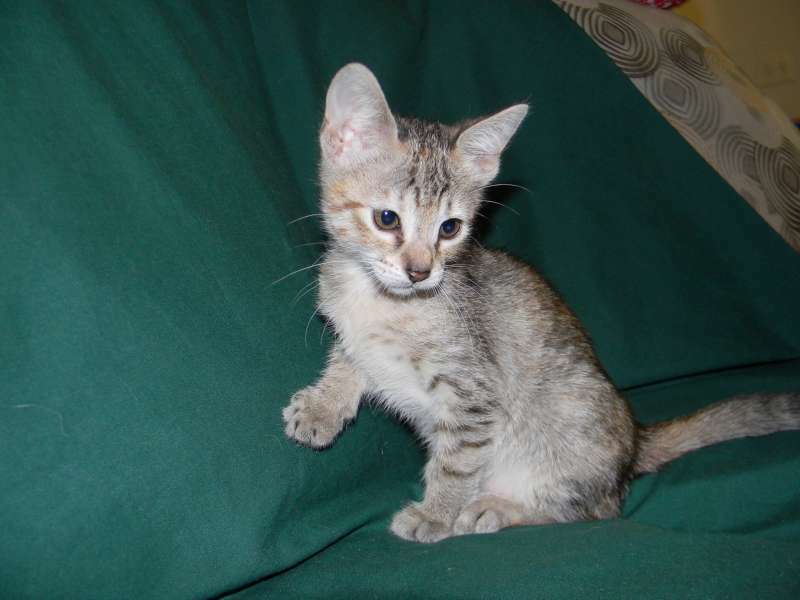 You can see the bi-color of this very unusual savannah kitten. 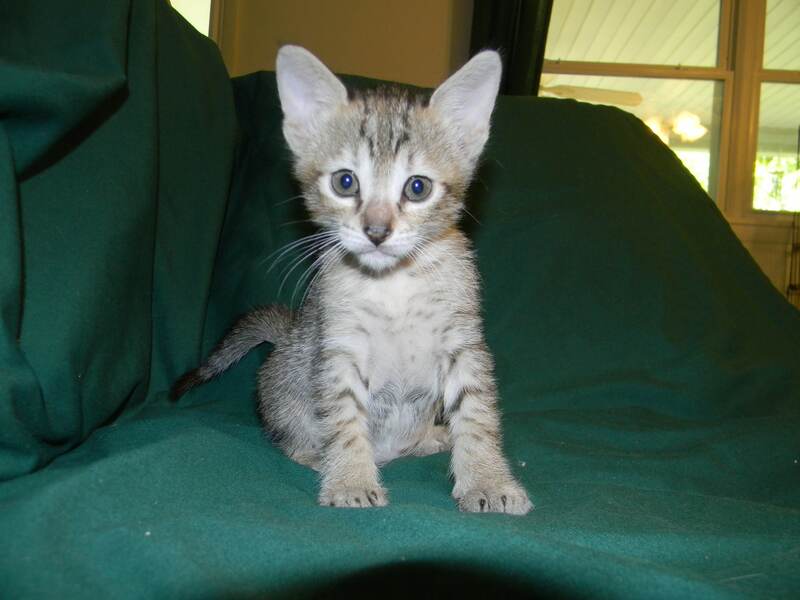 What a precious face on this little savannah girl. 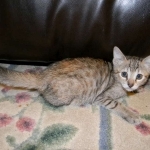 This savannah girl has great ears and unusual color. 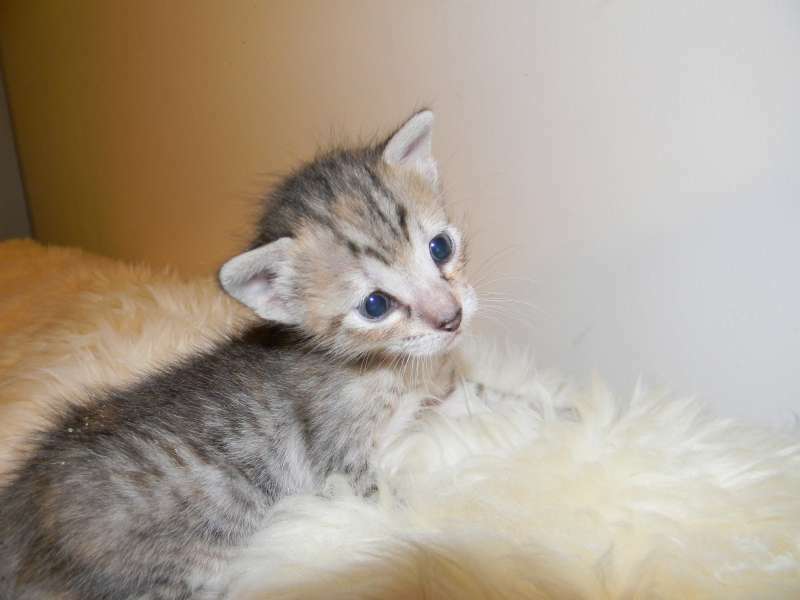 Still in her fuzzies her spots will become more distinct with age. 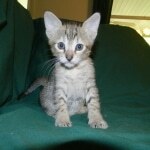 Just a precious little savannah girl.